These are state of the art equipment, made by Kavo (Germany) and are fitted with optical fiber. This helps the dentist, enabling him to see the “hidden” areas of the oral cavity, that are not visible with other similar devices. Without optical fibre, the dentist works “blindly” in these areas, which can often result in the failure of the intervention. 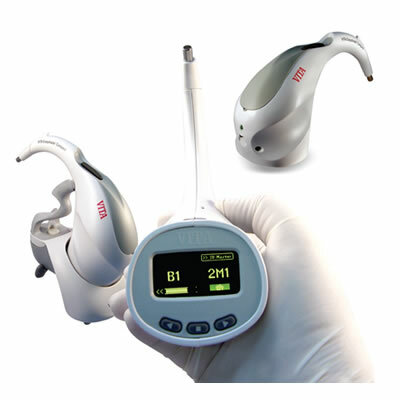 Laser technologies that offer pain free treatments done in a very short amount of time. 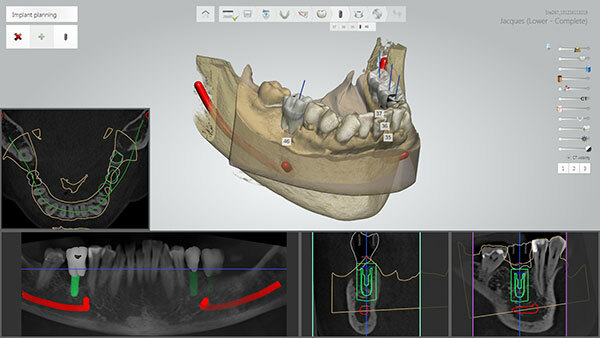 Computer guided dental implants for maximum accuracy. Autogenic regeneration and fast healing. It is the most advanced autologous Platelet-Rich Plasma system, based on the activation of the patient’s own platelets for the stimulation and acceleration of tissue healing and regeneration. 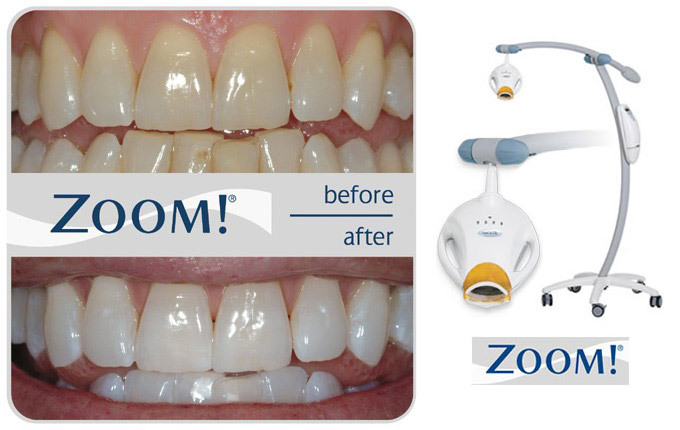 Is the most modern system for in-office teeth whitening, the improved version of the classical ZOOM!® version. Using this procedure, it only takes an hour to obtain a much lighter colour, with an improved effect, guaranteed for up to eight shades. 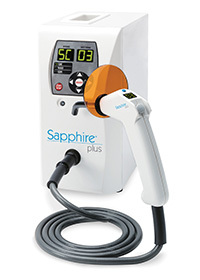 The whitening treatment by means of plasma lamp is particularly useful in emergency situations or for very busy patients. The lamp releases UV light that activates the oxygen peroxide, the substance found in the whitening gel. To increase the patient’s comfort and to achieve the product’s maximum efficiency, the whitening gel formulation has been improved through the addition of calcium phosphate that prevents dental sensitivity and offers an enhanced brightness of the enamel. Computer-aided X-rays enable a better view of the details (both by the dentist and by the patient) and it is also possible to send them by email. Digital radiology is distinguished by the use of sensors instead of the traditional radiographic film. The advantages include the low level of radiations (without having an impact upon the X-ray quality), the short time required for obtaining the result of the investigations and the possibility to transfer the images in a much more rapid manner. Comfortable experience, predictability, reduced time in the dental office, real color tissue impression. They cover, as a whole, in a single X-ray: the teeth, the maxillary bone, the maxillary sinus and the temporomandibular joint. Although this is a complex procedure, it can be done in the clinic. It takes about a minute to take a panoramic X-ray and the exposure to radiation varies ranges between 8 and 20 seconds. 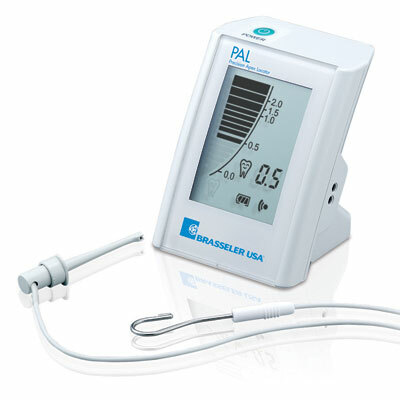 This device is attached to the dental unit and makes easier the intraoral examination of the patient. By explaining the images on the screen, the patient can understand much better the situation in the oral cavity and the treatment plan suggested by the dentist. 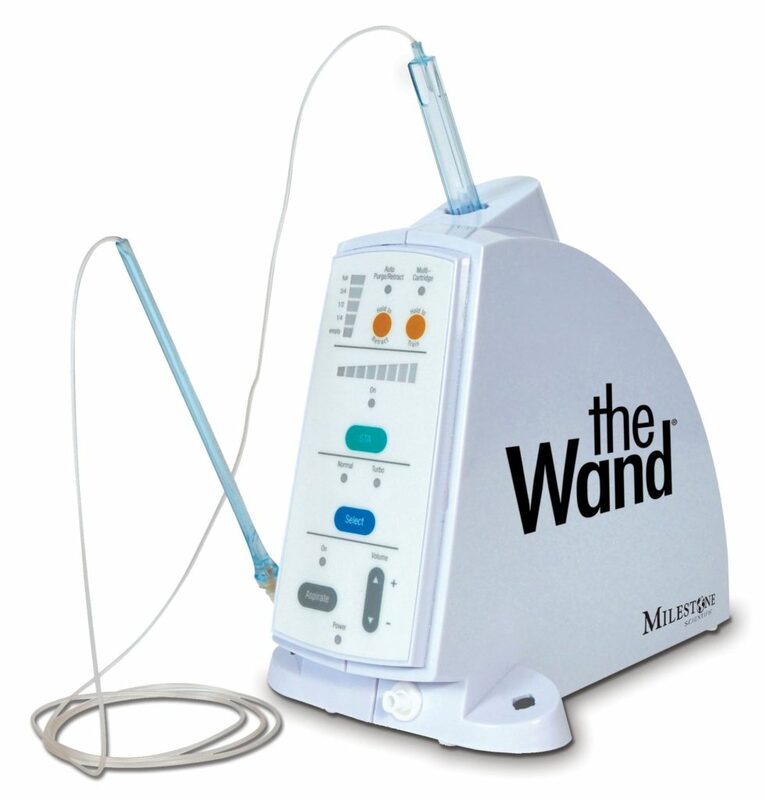 This is a device enabling the removal of all deposits from the teeth, even those that cannot be removed by means of ultrasounds. Moreover, it provides an effective gum massage. 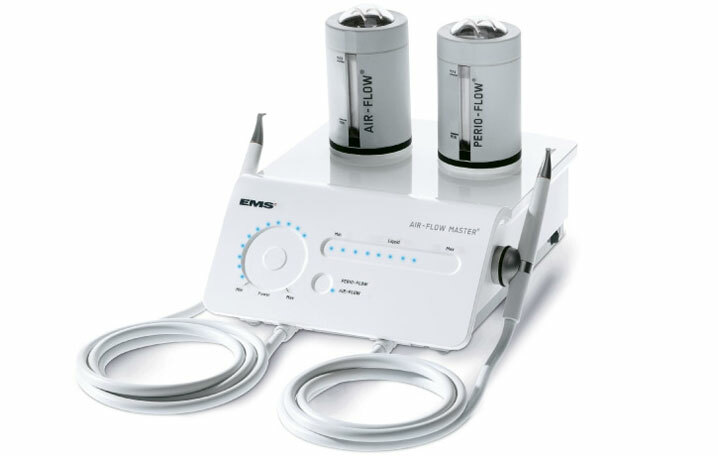 Air Flow achieves spectacular results in removing the calculus due to nicotine. It is also very useful in the effective cleaning of fixed dentures during regular hygiene procedures. 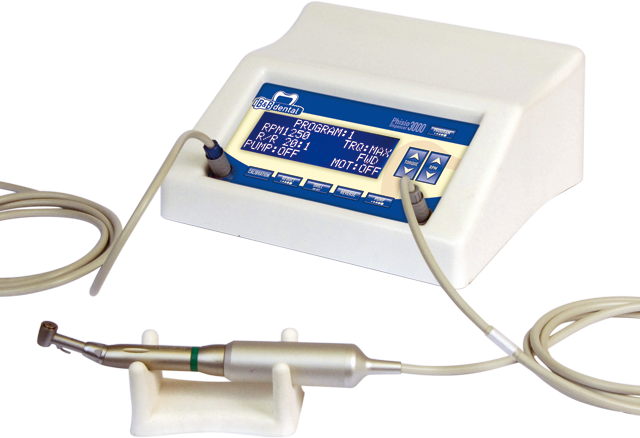 This is a device used in dentistry to measure the length of a root canal during the endodontic treatment. This is very important as it is the key factor for a successful root canal therapy. The device is fitted with a screen where real time images of the dentist’s actions can be seen. At DENT ESTET, choosing the colour of the teeth is no longer a problem. This procedure is done by a high-performance device that flawlessly “reads” the colour of the patients’ teeth, and that colour is used each time when it must be rendered accurately. This is the most effective method intended for patients afraid of the dentist. 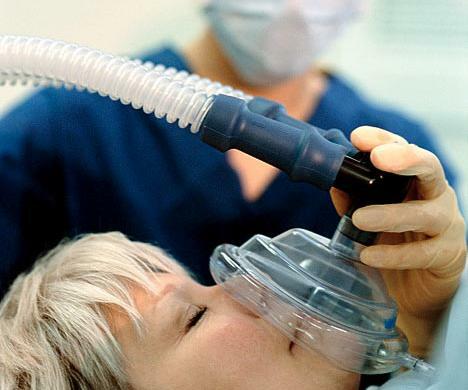 This sedation method involves the inhalation of a mixture of nitrous oxide (laughing gas) and oxygen, characterised by partial analgesia and total amnesia but without slipping into unconsciousness. The patient maintains his protective reflexes and the ability to cooperate with the dentist. DENT ESTET attaches great importance to patients’ safety. 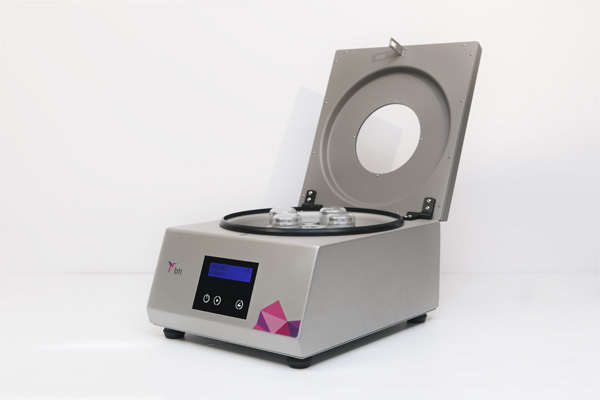 The electronic system monitors the sterilization process whose parameters are constantly verified. During a treatment session, we only use disposable bibs, glasses, needles, gloves, masks, oral suction devices. Before each patient, the nurses prepare the office by disinfecting all contact surfaces, the dental unit and any other equipment. 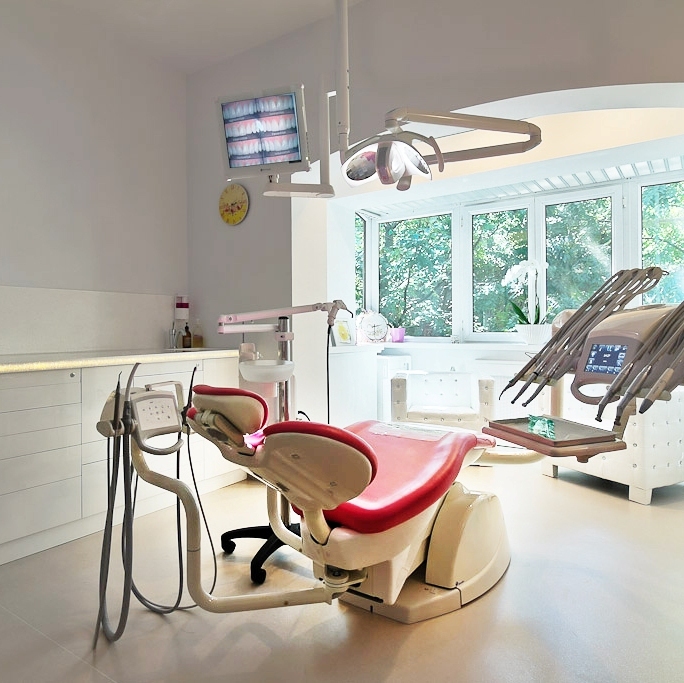 Our dental offices are fitted with antibacterial floor for an additional protection of patients. *Includes foil wrapper to maintain the instrumentation sterile condition. It is used in root canal treatments along with the electron microscope. This piece enables a very good mechanical treatment by enlarging the dental canal and cleaning it through low speed rotations. 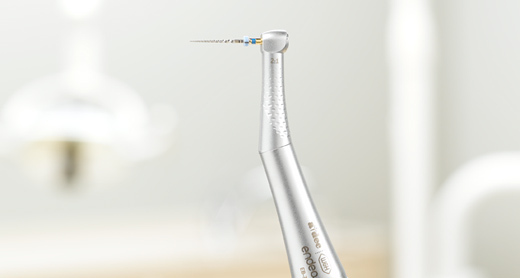 DENT ESTET uses the OPMI Pico endodontic microscope made by the German company Carl Zeiss. The device version is optimal, consisting of a built-in video recording and playback system as well as of a device for archiving the images. The video camera enables the “freeze” of images and their capture in digital format. The Zeiss electronic microscope used at DENT ESTET is an user-friendly control device, that can be applied in all the fields of dentistry. By identifying the root canals that are difficult to find and examine with the naked eye, it is now possible to save teeth whose restoration seemed impossible upon an eye control. The electronic microscope is designed especially to ease the dentist’s work. The device enables working in a comfortable posture and has a determinant advantage is the mobility and comfort of daily routine. The special magnifier system also enables the dentist to view directly areas difficult to see with the naked eye through the very accurate direction of the light beam. By means of the microscope, the dentist sees much more accurately the broken needles, the old filling materials inside the root canal. 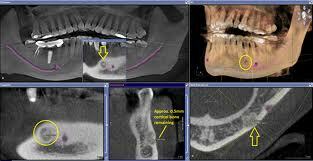 Moreover, false pathways and dental fractures can be diagnosed. From a technological point of view, Zeiss electronic microscope does not require special hardware configurations. 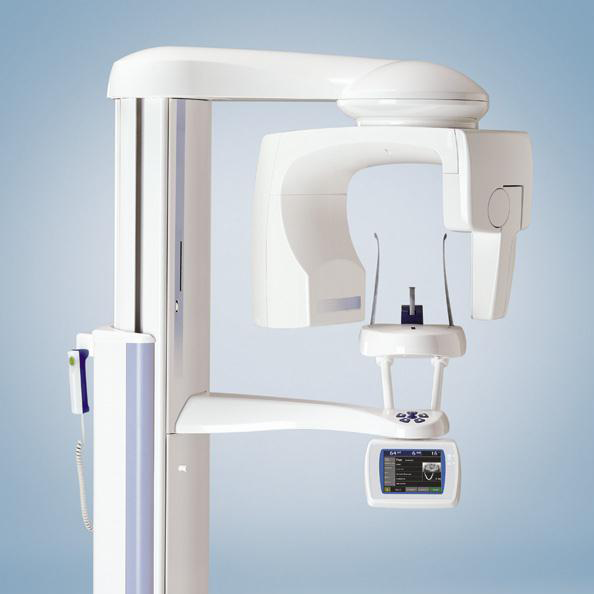 Its novelty is the possibility to connect it to the display attached to the dental chair. The patient can see the situation in the oral cavity in real time. The images are saved in standard format and can be copied to a CD by simply pushing a button. The microscope enables the rapid view of stored images. This is the most performant screening device currently available worldwide, exclusively manufactured in the USA. 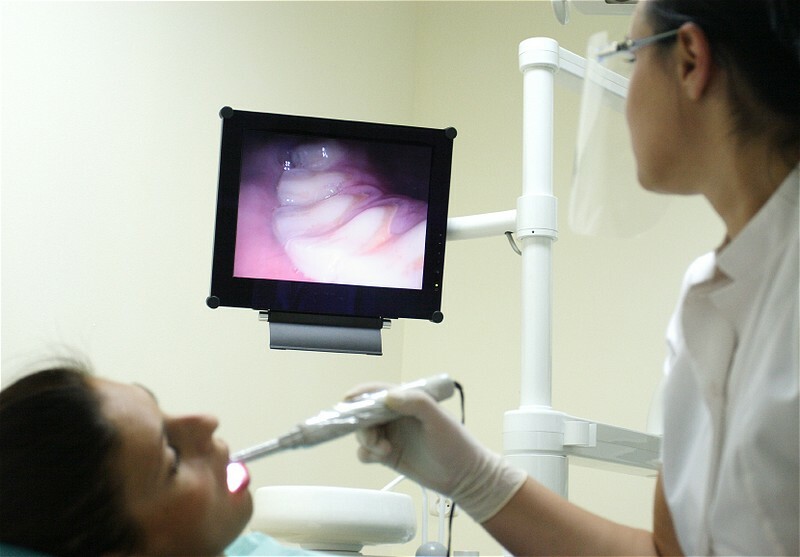 The device is fitted with a built-in digital camera providing the dentist with a detailed image of the oral cavity and the deep scanning of all areas that could contain precancerous or cancerous cells, impossible to see with the naked eye. 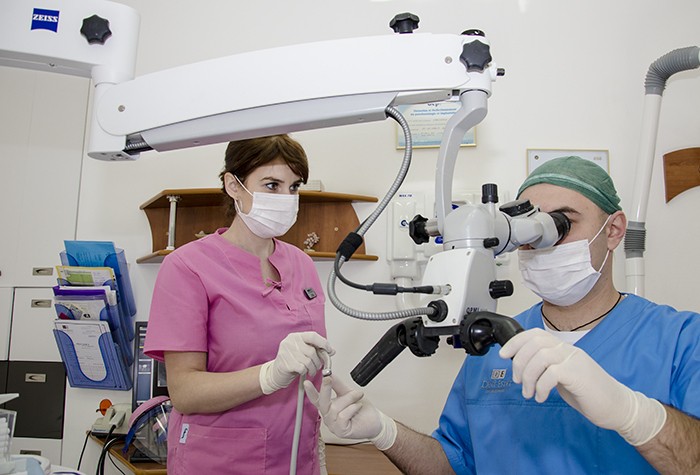 Oral Cancer Screening is the first test in Romania enabling the detection of early oral cancer. Precancerous and cancerous cells can be detected since the first stage, in just a few minutes and painlessly. Currently, Oral Cancer Screening is the safest test method for oral cancer available in our country. All-ceramic systems milled by means of the computer-aided technology offered by DENT ESTET are the result of the combination of two modern dentistry branches: Cosmetic dentistry and digital dentistry. All-ceramic procedures provide dental aesthetic restorations identical with the neighbouring natural teeth. These systems are known as CAD/CAM (computer aided design/computer aided manufacturing). DENT ESTET uses the CEREC 3D system, resulting from the collaboration of two German companies, technological leaders in the field: Sirona (former Siemens Dental Systems) and VITA Zahnfabrik. Sirona is the manufacturer of the devices and the collaboration with VITA has resulted in the addition of optimal materials to the system, guaranteed by a tradition of over 80 years in dental ceramics. All VITA materials are EXCLUSIVELY manufactured in Germany and Switzerland. 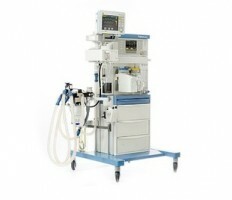 Fabius Plus® anesthesia machine – manufactured by the German company Dräger, an international leader in the medical anesthesia and intensive care technology, is more than a device, it is a centralized monitoring station that can be used both for anesthesia and for monitoring during and after the anesthesia. The machine can be found in the clinic intended exclusively for children, DENT ESTET 4 KIDS, within the intensive care department. Moreover, this department is fitted with pulsoximeter, ECG, display – the child is permanently monitored during the intervention – as well as with equipment for emergency intervention. 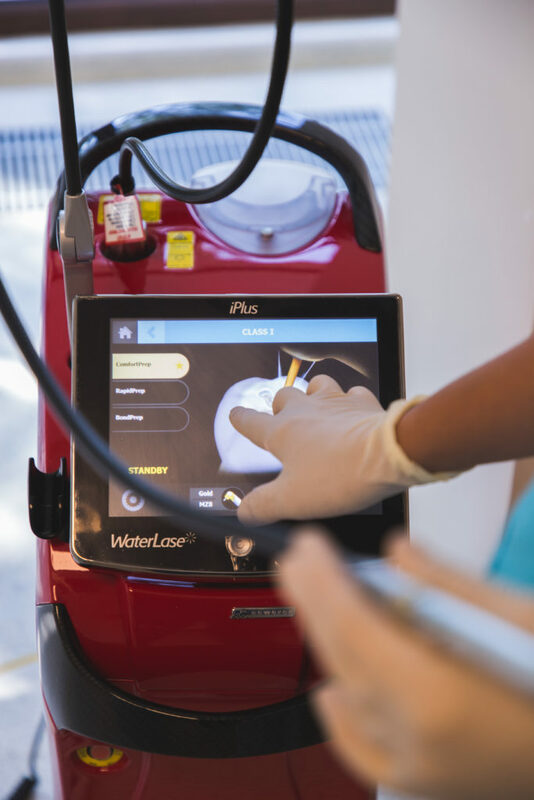 Computer-assisted anesthesia system for painless, comfortable and less anxious treatments. This is a machine designed for surgical implantology procedures but it is also used in other oral surgery interventions. The machine determines bone density and helps the implantologist to make decisions in relation to the type of dental implant appropriate for the type of bone (bone density), thus removing all errors that could occur during the treatment. 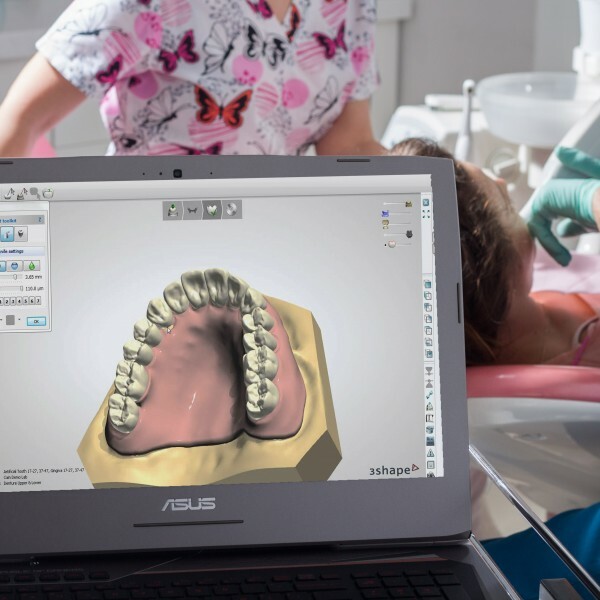 Digital Smile Design is an innovative concept enabling the simulation and preview of the dental treatment to be performed. By means of Digital Smile Design, the dentist shows the patient how the final work will look starting from a few images of the teeth. According to these images, the dentist creates a new digital smile he subsequently discusses and changes along with the patient. 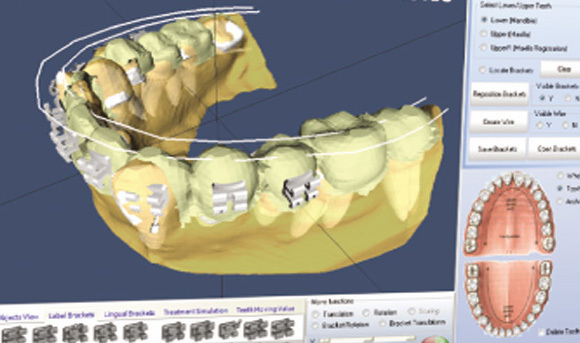 The final work is created only after the patient agrees with the result obtained, whose result shall be almost identical with the one simulated through Digital Smile Design. Computer-aided imaging enables viewing the potential results of procedures to be performed before the dentist intervenes through specific procedures. The patient understands what happens during the various stages of the treatment before it even starts. The treatment plan and the diagnosis can be significantly improved by explaining the case through the computer-aided program. The simulation of several treatment possibilities provides the patient with various options and enables him to choose the optimal treatment option, having animations and high-quality images at his disposal. The program enables storage and printing of images in order to be further used.